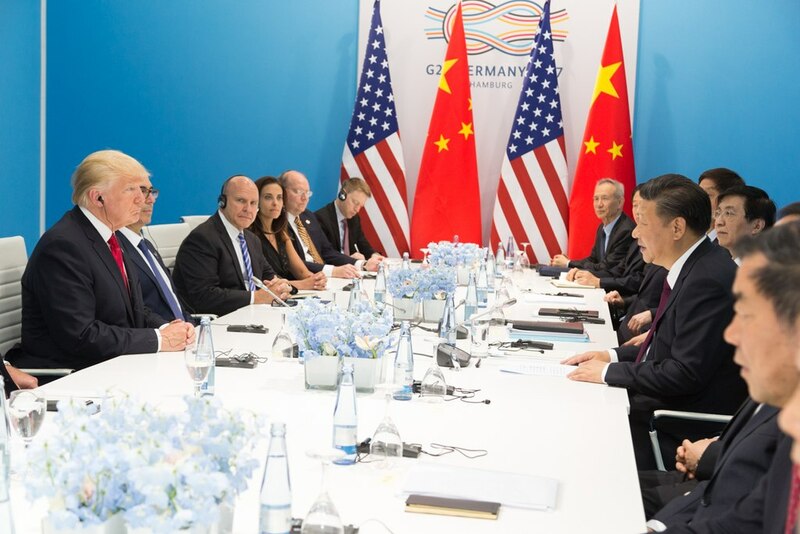 During a working dinner at the G20 Summit in Buenos Aires this weekend, US President Donald Trump and Chinese leader Xi Jinping agreed that Beijing would take greater steps to control the production, sale and export of synthetic opioid fentanyl. Arriving at a truce that will see Washington delay for 90 days the implementation of 25% tariffs on the majority of Chinese imports into the US while fresh negotiations take place, the two leaders hammered out a deal that will see China move to prevent the export of fentanyl to the US, where the drug is fuelling America’s spiralling opioid crisis. Trump has repeatedly criticised China for failing to crack down on illicit drug factories that produce and export huge amounts of fentanyl and other new psychoactive substances to western markets such as the US. Speaking at a White House event in October last year, the US President declared the country’s opioid epidemic a public health emergency, and said drug factories in countries such as China and Mexico were to blame for pumping massive quantities of substances such as fentanyl onto the streets of the US. While Beijing challenged Trump’s assertion that large quantities of fentanyl from Chinese drugs factories were responsible for America’s opioid crisis, the country’s National Narcotics Control Commission (NNCC) intermittently moves to add emerging new psychoactive substances to its list of controlled drugs, doing so with two fresh forms of fentanyl in September. In January, Trump signed a new bill designed to tackle the country’s growing synthetic opioid epidemic into law, which included measures to provide more portable chemical screening technology at ports and mail sorting centres across the country. Elsewhere, a senior British police officer has said that some illicit dark web marketplaces have stopped allowing the sale of fentanyl on their platforms through fear of attracting police attention after overdose deaths. In an interview with the Observer, National Crime Agency (NCA) lead on drugs Vince O’Brien said some dark web marketplaces that had previously banned the sale of weapons and explosives are now refusing to accept listings for fentanyl. “There are also drug users on the dark web who say on forums that they don’t think it’s right that people are selling fentanyl because it is dangerous and kills a lot of people,” he added.